Hello everyone! I hope you all are enjoying the spring weather! The rainy season is slowly starting up here and it is beautiful to see everything turning green again. We have tons of wild easter lilies popping up everywhere. They are gorgeous! In the Alternative Laundry 101 Series… I will be sharing the reasons why line drying is all around a healthier option, tips on how to save time, rules on hanging the clothes, ways to lessen the loads, how to make it fun and more. I am looking forward to sharing what I’ve learned over the last few years. I hope you all will enjoy it and walk away learning something new! Please take the time to ask questions, share tips or ideas in the comments section. I want this to be interactive as much as possible! 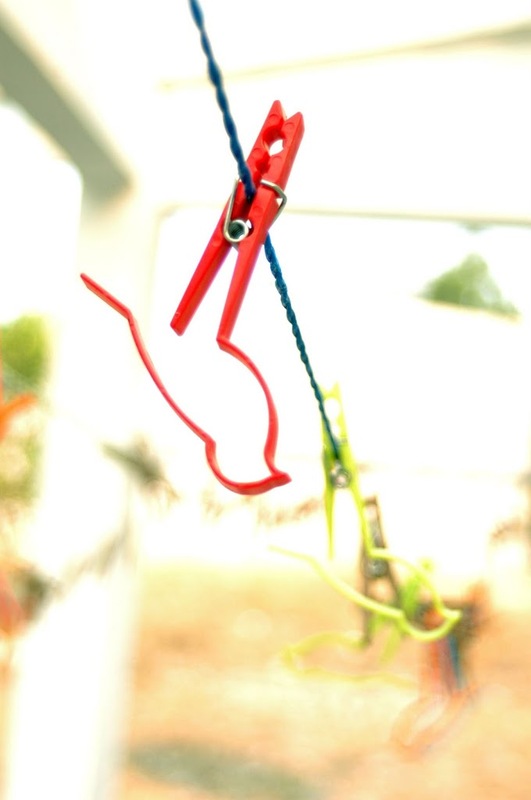 I’ve been hanging our clothes out to dry for years, but in various ways… inside and outside. 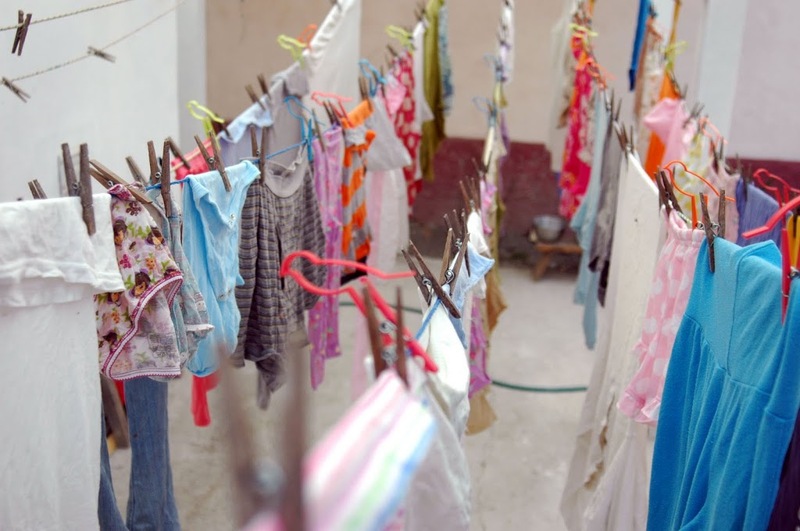 I remember when I first started line drying our clothes when we were missionaries in Baja California. I would hang all our clothes inside the house we were living in on retraceable lines. With the fan blowing on them, it kept our house cool and moist during the hot, dry months. I choose to do that because the roads around the area we lived in were very dusty. I would often cringe whenever I saw someone’s clothes hanging out getting bathed by dust blowing around. Besides, we didn’t have to use our swamp cooler to cool the house because the clothes did an even better job! Then, after we moved back to the states. We were given a used dryer, which I started using without much thought. 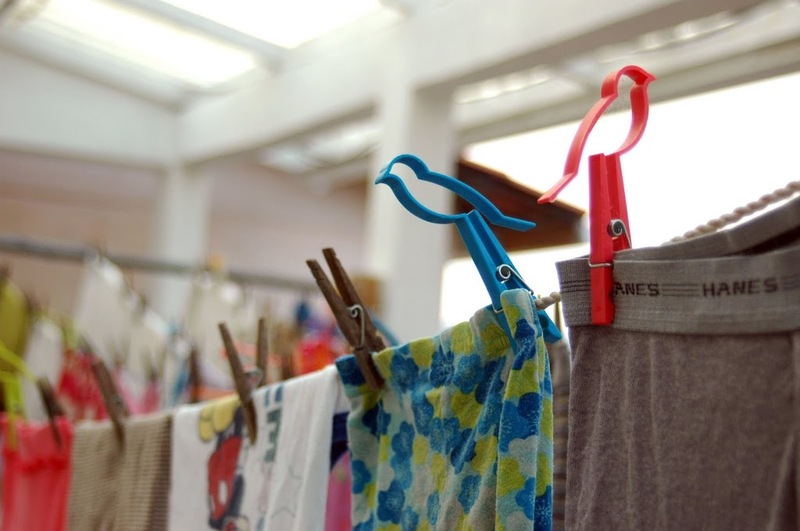 I was in the midst of my first pregnancy and adjustment to life back in the states that I was grateful for one less thing to do… hanging the clothes to dry. Of course, I hung my undergarments and delicate clothing, but the rest went right into the dryer. Even during the summer months… instead of having my hubby put up some lines outside where we had plenty of open space… I chose to keep on using the dryer in our tiny laundry room. Of course, the first and obvious reason is money… what the sun gives is freely given, while the use of a dryer is not. Dryers use a LOT of energy, coming in second place (the refrigerator is first) for the highest energy- consuming household item. I learned that the US Department of Energy estimates that a clothes dryer accounts for almost 6% of a household annual electricity consumption, sometimes more or less. That might not seem like a lot, but think about how many items in your house uses electricity. If you average about $100 a month for your electric bill… you are basically paying around $72 a year. Think about it, that’s almost a month of electricity in your home! Our electricity here in Honduras is run mainly on diesel, so electricity can get expensive with the way things are going with gas prices. I know when I don’t use my dryer for a whole month, our electricity bill is around $10-$15 less. That may not seem like a lot of savings, but if you add it up… that’s about $120-$180 saved a year! Plus, during the winter, your dryer is taking warm air from your house to dry your clothes and sending it outside. So, not only do you pay to run your dryer… you are paying more for indoor heating. I know this because I used to live in Iowa! The work of the sun and wind naturally makes your laundry smell clean and fresh. Often, I find that when I throw my laundry in the dryer… it comes out smelling clean enough, but can quickly become stale or musty smelly. Yes, you can buy those smelly, headache-inducing dryer sheets to get your laundry smelling nice… but that won’t remove the odor, just adds another scent to cover up the true smell. Plus, that’s one more thing to buy… when you can get fresh smelling clothes for free using the sun’s resources! Turns your white clothes yellow. Why? Because chlorine bleach is actually a caustic acid. Over time, the frequent bleaching of laundry not only makes them white, it also removes fibers… breaking down the fabric of your clothes. Therefore, your whites turn yellow. Won’t fully wash out of your clothes. How you like the idea of wearing your bleach? I didn’t think so. Thankfully, we have a natural alternative… again, the sun! The sun is not only a natural disinfectant, but it is also a natural whitener. When you put your wet whites out on the line, you will see the stains fading naturally as it dries. I learned a tip from a friend that the morning dew has a way of getting your whites beautifully bright. Simply hang them the night before, allow them to get dewy in the morning and pull them down when dry… I will have to try that sometime. Another way to brighten up your clothes and help stains to disappear is to add ½ cup baking soda and ½ cup vinegar into your wash.
All those flowery smelly dryer sheets and liquid fabric softeners are not anything you want to snuggle with. We all know they are used to make the clothes soft and remove the static cling caused by the dryer, but do we also know the common ingredients (they don’t even list them!) found even them? Benzyl Acetate, Ehtanol, Camphor, Chloroform, Linalool, A-Terpineol, fragrances and more! Still want to cuddle up with your soft, warm towel pulled from the dryer? Yeah, didn’t think so. Thankfully, we don’t have to use softeners because the sun doesn’t cause static charge while freely drying your laundry. You can use vinegar in place of liquid fabric softener to help soften your clothes… does a great job and won’t rob you of your health! Plus, it is much cheaper too! Now you know that bleach breaks down the fibers of your clothes, thus shortening the lifespan… but did you also know that the dryer weakens the fibers of your clothes too? All that lint you are required to remove after each cycle are fibers that have worn off of your clothes! That means that the dryer can wear down your clothes much faster than if they were line dried. Sure, it’s gradual… but with my family, we prefer to buy less clothes and make them last a long as possible. Let’s be honest, using the dryer often results in clothes getting tangled and wrinkled. No matter how you do it… you still get wrinkles. Which means you will end up spending more time on laundry if you chose to iron (I never do!). If the clothes are shook out good and hung right, you will get wrinkle-free laundry! I remember having to buy clothes that were a little big so I didn’t have to worry if they shrunk in the dryer. If I had a shirt or pants that fit me perfect… I never put them in the dryer. They were always hung up on a little line and blown dry by a small fan. Remember the lint I talked about earlier? That’s the results of your dryer “pulling” the fibers and causing the clothes to shrink. There’s no chance of that happening when your clothes are drying on the line. 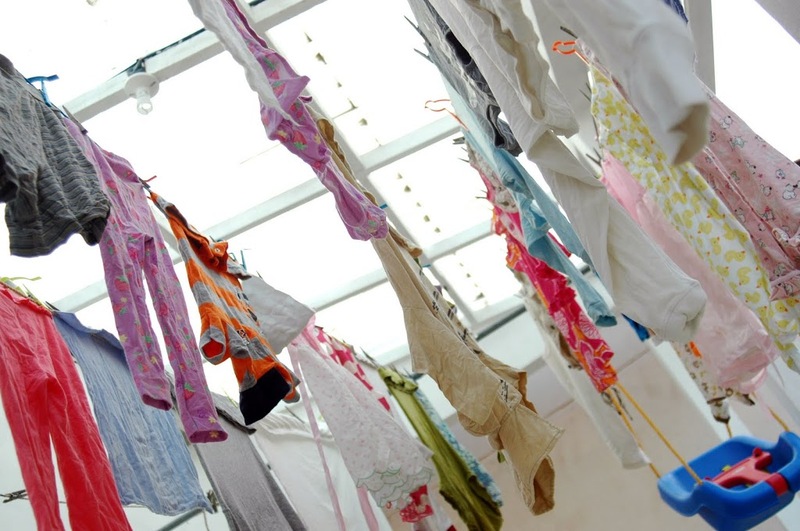 Line drying can take up a little bit more time, but it does make you more aware of what clothes really need washing and what can be worn again. All around, it can help you use up less energy, water and time when doing laundry. For me, it is truly a quick and easy process… throw load into the washer with soapnuts or biokleen and then out to the clothesline. Usually, my clothes are dry within a couple hours on a dry day… I take each item down and fold them, right away, into the basket and then put them away. 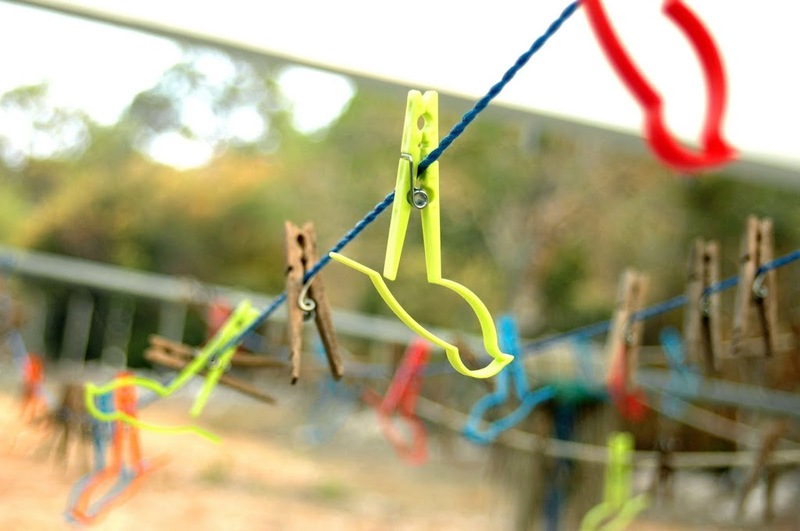 I will be writing more on ways to save time when line drying your laundry! Also, for me, it is a simple act of service to my family when I take the time to carefully and joyfully hang our laundry. There is something wonderfully soothing about seeing all our clothes hung in a neat row and flapping in the breeze! So, knowing all this… what will you do now? 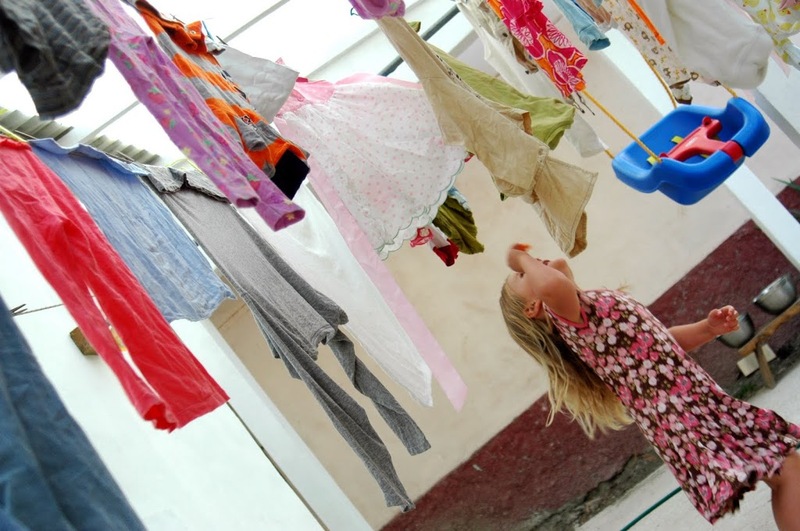 What steps can you take to start drying your laundry on the line? Keep you eyes open for the next post in the series!! So, that has been my experience. Melanie- I TOTALLY understand your frustration. I’ve been there. When we moved to Costa Rica and lived in humid Jaco Beach… it was a struggle. I had to do it half and half. I also had to spread my laundry out… to do a load every couple days to stay on top of it. When we moved up to the mountains… it wasn’t too bad, but the rainy season did make it hard. Had to hang everything up the night before and PRAY that for a nice hot sun in the morning to dry everything. Most of the time it worked. We had to do it because we had no dryer. Our first rainy season here in Honduras was tough because we didn’t have a dryer for several months. Finally had to buy one when we had a second hurricane go through Honduras… it was crazy because our laundry was piling up and starting to smell. Thankfully, I learned some tricks… so keep checking back when you can! Love you girl! Great article Mare! I’m so proud of You and your blogs! I line dryed when Eric was younger. Been thinking of putting up a line out here on the farm for certain items that take too much energy to dry in the dryer. You have reminded me of the healthy side of air/sun drying. Thanks, I needed that! Hi Wendi Jo, thanks for sharing. Hey Aunt Wendy! Thanks so much for reading my post! Glad to know that my family enjoys reading up what I have to say ;o) Hehe! Yeah, you gotta really get into the spirit of line drying now that you have a small farm! Get on with it Aunty! :o) Love you too. In Australia, everyone line drys. My mum bought her first ever dryer when they moved to the wet tropics about 5 years ago and even then they only use it sparing and to finish off clothes. Some days here in China though, I’d give anything for a dryer because of the high humidity but its been dry for a month now and I’m so excited! I LOVE line dryed clothes! I love how the sun makes them smell! And doing part time elimination communication has helped me out on the diaper front. I am looking forward to the rest of the series because my water is VERY hard and I have a hard time with natural detergents. I’ve tried soap nuts but they just leave my clothes stinky. I love this post! And I love line drying! When I lived in Colorado I lined dried all the time. Now I live in a more humid area and don’t do it as often. Things take forever to dry. My favorite line dried item has to be sheets. It is so wonderful to go to bed on fresh from the line sheets. They smell so good! I line dry as well, have been for about 3 years now. 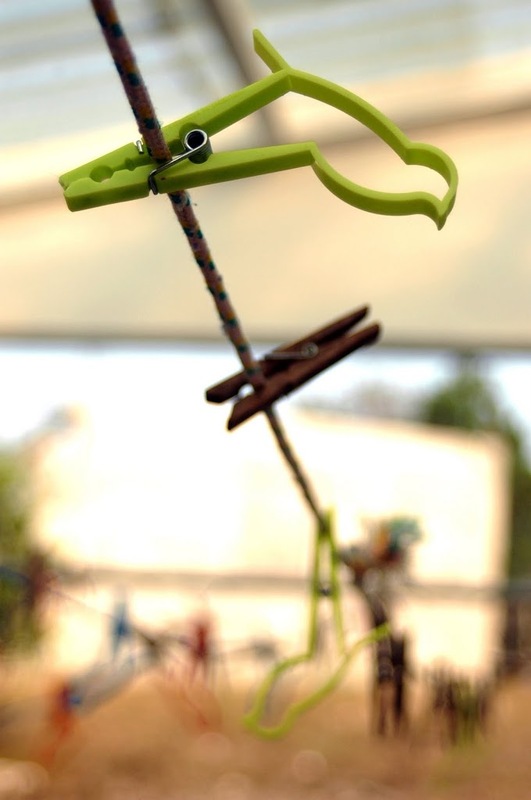 I love your clothespins! where did you get the little birdie ones? !!! I just wrote a comment and it didn’t go through 🙁 We’ll see if this does! I finally have some relaxing blog reading time and have been wanting to get to this post. I used to hang all of my clothes because like you said, they last longer and look better.. like new. However, since the boys have been born I really haven’t bought anything for myself so I started to use the dryer more since I really didn’t care about my clothes. How bad is that, lol!! I’ve been blessed this year and have been able to get a few new things and once again I’m line drying in my basement. I’ve never used a fan, just hangers and a small hanging rack. In Spain everyone line dries and I honestly don’t know anyone that even owns a dryer. Here, I wish I could hang outdoors but with my dogs and chickens, I’d end up with dirty clothes all over again. What can you do, lol!! One day, if we have some extra room as I LOVE the smell of line dried clothes from the sun. I can’t wait for your next post in this series!! rachel- will share about detergents and what I use. I know what you mean about it not cleaning the clothes well. We have somewhat hard water and after trying different things… have found a couple things that helps it be more effective. Melissa- my mother-in-law got them for me from Crate and Barrel! She bought them to help make my laundry time more fun :o) LOL! Kristen- the area is in front of our bathhouse with clear roofing. We designed it that way specifically for line drying the clothes. Great for the raining season! Gets nice and hot when the sun hits it in the morning so I can get pretty dry clothes during the raining season. Erika – thank you for sharing your experience! So, you use ONLY Baking Soda to wash the clothes? How much? I would love to do that… to get away from buying soap in the states and bringing them here. I did not know that vinegar can do that… will need to look into that more. THANKS!! Diana- I understand your situation! Yes, dry lining the clothes do make them look new :o) Too bad you could dry your clothes out front… don’t think your nieghbors would like that, huh? LOL! Are you guys seriously thinking of moving to a farm or something? Hugs! Cool. I line dry some items in the house ,but get lazy at times. I do notice when drying big blankets, sheets or just a few items. The dryer does not dry the items all the way. makes me want a patio cover to,to dry outside. Because of the rain and not wanting the birds,squirrels, mice and roof rats to walk/poop on the line. If I have a patio cover wher my dog will sleep, other unwanted animals should keep their distance. Great read thanks.